The concept of a brand may feel simple or even obvious at first glance. Yet, many people may fail to realize that brand identity goes well beyond the tangible. Your brand encompasses far more than merely the obvious aspects of your business like your logo, name, and brand colors. In truth, your brand is far more encompassing. So what is a brand exactly? We’ll explain some of the deeper concepts of branding. A brand defines the visceral and frequently intangible aspects of your company’s identity, as well as many visual ones. It covers everything from brand voice and personality, to visual triggers and psychological associations. A well thought out and defined brand identity is the backbone of many successful companies – particularly for online enterprises that typically lack the physical brand components of brick-and-mortar stores. In this article, we’ll explore what is a brand and define the key elements of successful online brands. This way you’ll have a reference point when it comes to building your own brand. We’ll also delve into a few examples of brands that illustrate how these ingredients can mix together to cook up some of the most recognizable and successful brands in history. Perhaps the most critical component of your brand is your company vision: What is the purpose of your business – above and beyond generating profit? What aspect of your enterprise will set you apart from the competition? Is it about the way you choose to operate? Will it be meaningful to customers? The most successful examples of company vision or mission statements are typically those that aim to improve the quality of life for others while also conducting day-to-day business. This clear goal to deliver the world’s information to everyone everywhere is both laudable and plausible for the tech giant that is Google. The fact that the company has actually stuck to this vision by nearly all accounts since its inception in 1998 makes it all the more critical to the success of their brand. One of the most difficult, yet critical, components of your brand is emotion. How both current and potential customers, or even the general public, feel about your company and your identity. If you are able to generate a particular and consistent emotion within your audience, you’ll have a very successful brand in the making. Perhaps the best example of successful emotional branding is The Coca-Cola Company, who have spent the last 100 years branding around one simple emotional concept: Happiness. 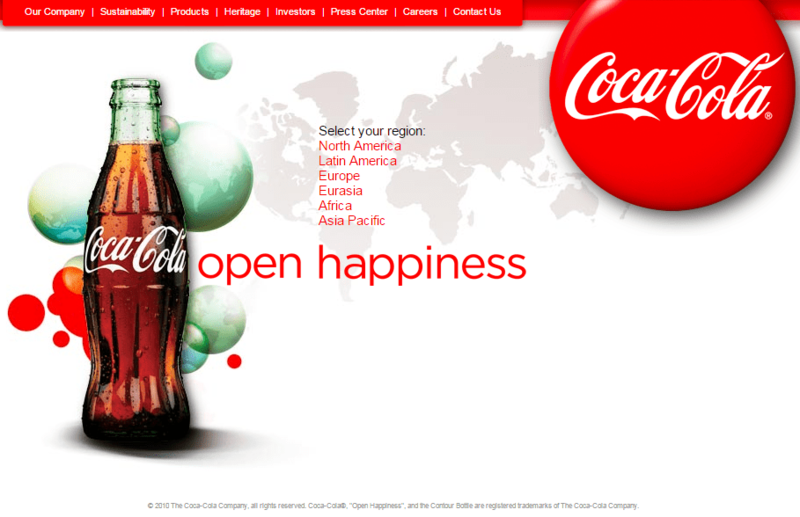 In 1948, they began with the slogan, “Where There’s Coke There’s Hospitality” and have expanded on this concept ever since, from the famous “I’d Like to Buy the World a Coke” song to the more recent slogan of “Open Happiness”. Today its “taste the feeling” motto continues to build on its brand image as a brand that brings its customers joy. Throughout all its advertising and branding opportunities, Coca-Cola aims to be happy and illustrate that their product both encourages and generates happiness wherever and whenever it is enjoyed. It’s a brilliant branding strategy. Remaining consistent across your branding is essential to build a strong brand image. Ask yourself this simple question: Is this [product/image/tweet/slogan/etc] relatable to my brand, its vision and the image we are building? This is particularly important for internet branding. Every aspect of your company and its public interactions can be examined and scrutinized online. One bum note and you could go viral for all the wrong reasons. For this reason, it is critical that everything you do remains consistent or on message with the identity you are creating. If you send out a tweet from the company Twitter account with a funny joke or picture, consider first if that particular message aligns with your brand. If not, or even if it’s a bit of a gray area, it may only serve to unsettle, upset, or simply confuse your audience. This could, in turn, reduce brand loyalty and recognition for your business in the future. 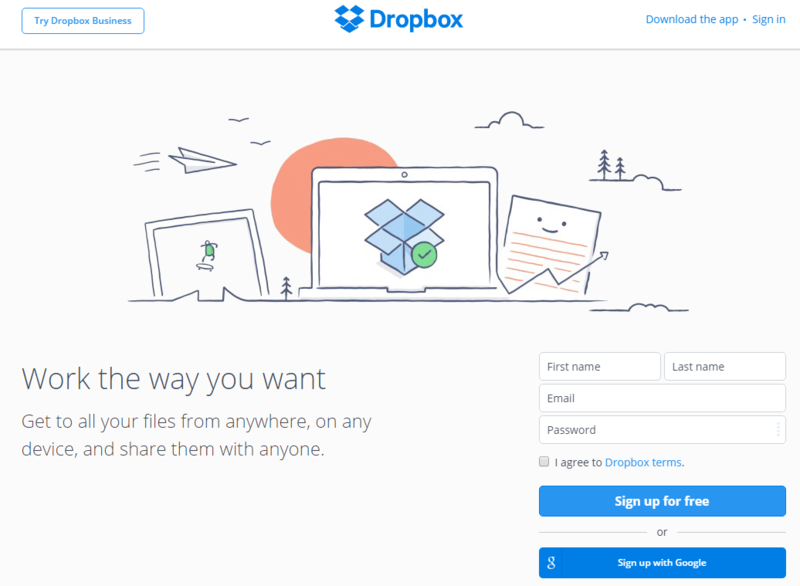 Dropbox is exceptionally good at maintaining brand consistency across all their marketing channels. Across all platforms, from its official website to its Twitter and Facebook pages, the brand maintains a consistent look and feel by combining cheery, friendly, hand-drawn visuals with consistent, simple and supportive language. In spite of all your best efforts as a company to mold your brand identity to a particular shape, it is critical to understand that ultimately it is consumers who decide how your brand is seen. How your audience and customers perceive your brand will ultimately determine how successful your branding is. In the end, it is consumers that build brands, not companies. Public perception, of course, has its roots in reality to some degree. But it is necessary to recognize and record what the actual perception of your brand is. This can then inform business and branding decisions in the future. The American automobile industry is a great historical example of how public perception can shape big brands. Companies acknowledged these perceptions to regain success. From 1915 through to 1970, American automobile business Chevrolet was very successful and accounted for about half of General Motors’ sales. But then in the 70s, the production quality took a turn for the worse. The perception of the American auto-industry and Chevrolet, in particular, began to decline, all the way up to the bankruptcy (and subsequent bailout) of General Motors in 2009. It was clear at that point that something needed to change. Many American automotive manufacturers, including Chevrolet, recognized that public perception needed to change too. Having worked hard to do so, they have since started to increase sales and regain customer trust once again. We hope these core brand components will help you better understand that often perplexing question: “What is a brand?”. Hopefully, you have a solid understanding of how to identify and control those intangible aspects of branding for use in your own business. Originally Posted: December 15th, 2015. Post Updated: August 2nd, 2018. Online Branding	brand online, consistency, emotion, how to build a brand, perception, The elements of a brand, vision, What is a Brand?